Played in the many shades and hues '' The Blues'' has to offer. played by this powerhouse bluesband from Graz, Austria. (that's the Alps for you; no kangaroos....). 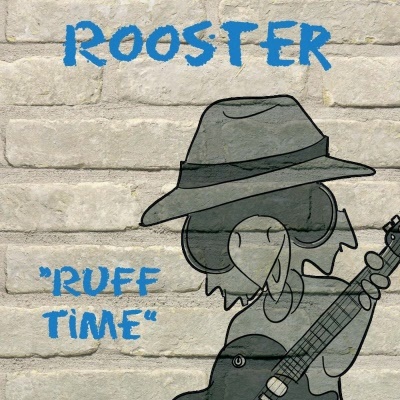 ROOSTER started out as a trio in 1994 enjoying it's first success in Austria's thriving blues-scene. In 1996 the CD „Backdoor Man“ (RO 961) was recorded with Michael Willmann on drums. This success was temporarily cut short by a stroke frontman Stefan Zeisberger suffered in 1998.
to carry on with the ROOSTER project. Jazz guitar player Titow Griem. This new incarnation of ROOSTER played its debut in 2007 in Graz. Stefan Zeisberger contributes the songs and lyrics, his captivating singing voice and last but not least his unique left-hand-only guitarwork to this exciting mix. each one covering rhythm and soloparts according to their own personalties. Titow, a jazz player who loves the blues (or maybe the other way round) and Markus a gifted, fiery young gun..
Gerhard Steinrück, a seasoned player who has worked in every imaginable musical setting (and some unbelievable ones as well) puts down the foundation of the music with authority and taste. which reflects the wide range of styles he listens to, all the while never letting go of the groove. Regardless of their individuality, each player in ROOSTER, works hard to find and play the sounds needed to deliver heartfelt handmade blues to the listener.